On March 20, around 260 of Jet's pilots applied to join SpiceJet, even as investors such as public sector banks struggle to stitch a rescue up a plan for the airline. Beleaguered Jet Airways' pilots said on Friday they are suffering from massive financial stress caused by non-payment of salaries for the last three months, which has even forced some to mortgage jewellery and take short-term loans. The pilots said even EMI payments on car and home loans might become difficult in the present circumstance. Pilots said that they along with engineers and other highly critical segment of employees have not been paid three-month salaries from January 1 and that only 12.5 per cent of December pay has been given. "Nearly all of us have financial responsibilities. We fear that a sudden collapse of the airline might be imminent. We need our dues to paid by March 31 and a clear road map for our company," National Aviator's Guild Vice President Captain Asim Valiani told IANS in Mumbai. "We have decided that either the management lets us know about the progress of the resolution plan and the future of the company by March 31 or we will refrain from flying duties." A New Delhi-based pilot of the airline, who has already applied to other airlines for recruitment, said his financial position has become untenable since his children's quarterly school fees are due in April. "I am afraid I will not be able to make the payment without mortgaging jewellery or my car," said the pilot who holds the rank of a co-commander. "I have also applied for jobs with other airlines, but given the industry's overall financial position, it might take sometime for me to secure a stable job." As per industry estimates, Jet's total debt of Rs 8,000 crore in addition to payables such as vendors' dues worth Rs 15,000 crore. Additionally, the airline has also lost ground in terms of market shares, even as its pilots and crew are said to be approaching other airlines for employment. "Out of the 260 pilots, 150 are senior commanders. The commonality of Boeing jets between the two airlines is the main draw for pilots to apply in SpiceJet," a source told IANS in Mumbai. Jet currently has 1,900 pilots on its rolls. IANS had earlier reported that other airlines tried to poach the airlines commanders and co-pilots, luring them with lucrative offers with a stable monthly pay. The apparent jostle of pilots to get out of Jet Airways comes as the airline's lessors offered 50 of its Boeing aircraft to SpiceJet. 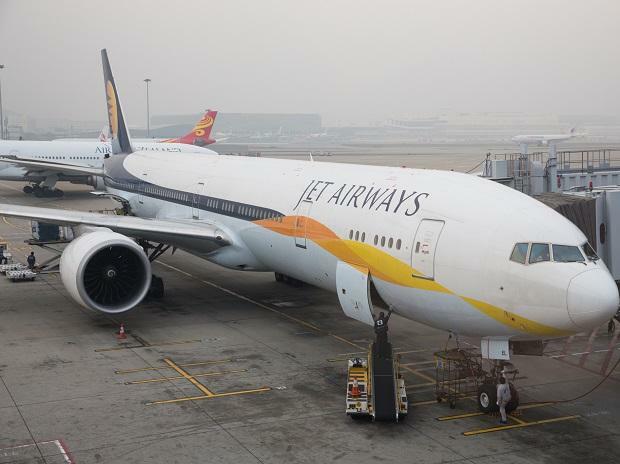 Recently, aviation regulator, the Directorate General of Civil Aviation (DGCA) said that Jet Airways has only 41 aircraft in its fleet for operations out of around 120 planes and that there may be further attrition in the fleet size and flights ahead.